Other information: Good with children and other cats. Cookie is one of 5 kittens rescued in the spring when they were found roaming an alleyway with no mother cat, or any food or water in sight. A concerned resident contacted RCR for help and the kittens were quickly rounded up and placed into foster care. Thanks to the dedicated care of a loving foster home, the kittens thrived and became happy, healthy and loving kittens. In fact, 4/5 were adopted before we even had a chance to list them for adoption! Cookie is the only one left of her litter in need of a home. Cookie is good with the young child and other cats in her foster home, and charms everyone she meets. 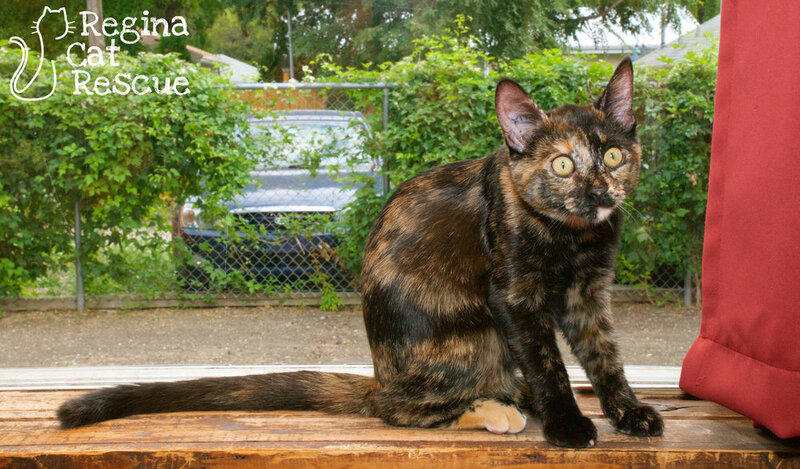 She is calm but playful, affectionate but not in your face, making her a well rounded and balanced kitty that would make a great family pet. 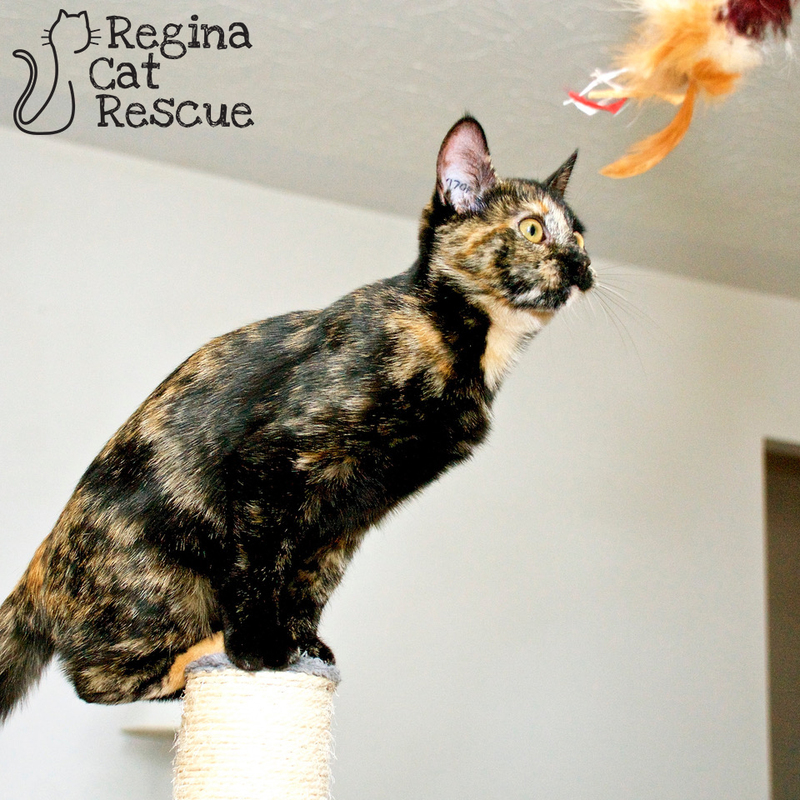 If you are interested in Cookie, click here to view our adoption contract and click here to complete an adoption application or email the RCR Adoption Coordinator at adoptions@reginacatrescue.com for more info.